WELCOME to The Official Visitor´s Guide to Gettysburg. Here you will find only the finest Civil War and Antique shops Gettysburg has to offer. 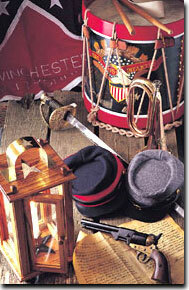 Authentic Gettysburg Civil War souvenirs and great antiques shops are but a click away! 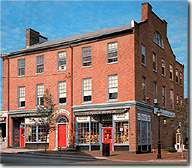 You will also find visitor information on Gettysburg attractions, Tours, galleries, Antique and Civil War shops, Reenactment Information, Ghost Walks and much much more. Not to mention the Hallowed Battlefield itself. Relax and enjoy your visit to the fullest, and if I may be of any assistance, please feel free to contact me at: Ray's Info. 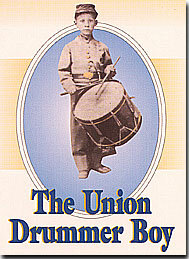 THE UNION DRUMMER BOY Specializing in Authentic Civil War atifacts. 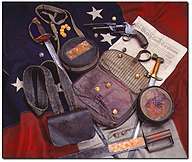 We carry original Civil War Muskets, Carbines, Revolvers, Accoutrements, Uniforms, Photographs, Canteens, Artillery Shells, Leather Goods, Letters, Documents, Flags, Autographs, Relics, Swords and more. Free appraisals for Authenticity. Extended showroom Featuring the works of Don Troiani, Mort Kunstler, Don Stivers, Bradley Schmehl and others. THE GETTYSBURG QUARTERMASTER Thousands of items: guns, swords, bullets, tools, equipment, buttons, accouterments, documents, paper, books, firearms, accessories, and military vehicles. A must for the Civil War collector!